Here are two posts that were inspired by you! This is what happens when you reach out to others, you change things and make them better. Show them some comment love! Here are some more blog posts to comment on. Make sure you give positive and relevant comments. We are going to post our favorite book we read this year on Mrs. W's Blog. Here is the link to the post. Make sure your comment is a paragraph that identifies your book and give three reasons why it is your favorite. Also make sure grammar, punctuation, and spelling are right. I've alluded to this story this year during our watching of the Digging for the Truth episode on Easter Island. This story is also about sustainability and how we need to learn from others examples. 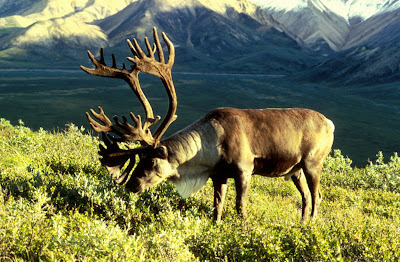 We are going to use this story to launch The Biome Project 2009. This will be our extension for reading this week, but I expect it will take longer to complete than the usual extensions. Therefor, I am going to shorten this weeks assignment list so we have more time to finish. I expect we should be finished by next Tuesday including recording. We won't start doing anything on it until Thursday so we can focus on our story. Here is the link to our Google doc instructions for this weeks reading. Here is the link to the instructions for The Biome Project 2009. I would like to invite you to participate in this years' Biome Project. This project asks the students to use art to create visual representations of biomes and then give information orally about the biomes. Students are given two options with their projects. The first choice is to create dioramas of three biomes. They then have to give a presentation about the biomes that is visually recorded. Here is an excellent example from last year of Macy's project. The second choice is to represent the biomes using cut construction paper. The projects will be photographed and uploaded to Voicethread, where the students then narrated the pictures. Here is Keith's example from the project last year. Here is the link to the Biome Project 2009 instructions. If you would like your class to participate, leave a comment with contact information, tweet me, or email me at wmchamberlain@gmail.com. Our last day of school is May 22, so if you would like to be involved please contact me soon. 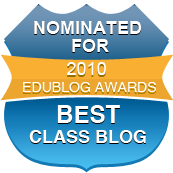 It is time to comment on other students' blogs. 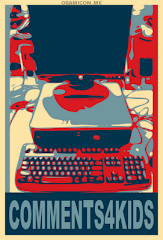 Remember to make your comments positive and relevant. The first blog we are going to comment on is Mrs. Owens' Noel School Library Blog. Pick a post and leave a comment. 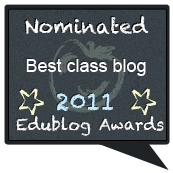 We want to encourage more teachers here to blog! The second blog we are going to comment on is Mrs. Heaton's Class in South Carolina. Click the first link and read the explanation of The Best Part of Me Assignment and then leave one comment for each link. 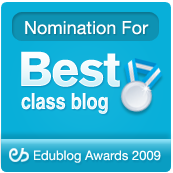 The third blog we are going to comment on is the Eagles' Nest Radio and Class Blog. Listen to the podcast and then leave a comment. With luck we will be creating audio this good next year. The fourth blog is the Fairview Physical Education blog. This is the only physical education blog I have ever seen. Mr. Berenger has asked for us to leave a comment. If you finish with these posts early, leave Devon a comment on his story in the post below. I am sure he would like to have your comments.